RAID (Redundant Array of Independent Disks) is basically a combination of disks and data is stored on the concepts of striping, mirroring, or parity. The configuration and techniques used may differ at different level of RAID combinations. RAID 6 implements dual parity and uses block level striping for both parity blocks. It has fault tolerance capacity of up to two drive failures. Whenever a hard disk failure occurs in a RAID array, the data can be retrieved from other disks as it uses mirroring to create exact replica of stored data on different drives connected with RAID 6 configuration. You may also want to checkout a comparison of RAID vs Non-RAID storage systems. Ability to survive first disc failure is why RAID 6 is that much popular. However, complex parity calculations for RAID 6 affect the performance on the processor of RAID 6 controller which ultimately, gives you real pain over time. Once the first drive fails in RAID 6, it’ll be treated as RAID 5 by the nature of performance and parity calculations. During reconstruction, another drive on RAID 6 will most probably fails because of media error, device error or operator error. Disk replacement comes handy in case of physical drive failure (cracks to platter, broken circuit board or other hardware damage). In case of logical failure (operator error, controller failure and software RAID driver errors) you can rebuild or repair damaged RAID array and recover data using automated RAID Recovery Tool. It can be done by replacing the failed hard drive and reconstructing the damaged RAID arrays. Keep in mind that most reconstructions fails often because of wrong parity calculations or device order. Pre-failure replacement is done if you are suspecting that hard drive has some issues and going to fail soon. If you could not sense the failing drive and it unexpectedly gone dead, you’ll need to replace it and rebuild the RAID array using parity check. Post-failure replacement increases the overhead and rebuild time. Moreover, it may also causes the second drive failure during reconstructions and thus erasing all your hope of getting your files back. That’s why we’ll recommend to use RAID Repair software to perform data recovery from RAID servers. Particularly taking RAID 6 into consideration, minimum of 4 disks is required in a RAID 6 configuration. As it provides dual parity, it can bear up to two concurrent disk failures. As compared to RAID 5, the rebuild time and overhead taken in case of RAID 6 is much higher thus they take more time to restore. RAID 6 is more reliable then RAID 5 and previous levels but controller failure mostly occurs at same frequency in both the RAID arrays (RAID 5 and RAID 6). In such case of failure, you need to implement some RAID recovery procedure for performing efficient RAID 6 Recovery. The factors to be taken into consideration, while RAID reconstruction are member disk counts, their order, start offsets, positions, rotation and pattern of parity functions. How To Perform Raid 6 Recovery For Windows? There are software to repair damaged raid arrays and recover data for Windows that possess inbuilt algorithms and powerful recovery options. In case you don’t remember your RAID array parameters (disk order, RAID Start Sector, Stripe/Block Size, Parity Order/Rotation, and Parity Repetition/Delay), raid 6 recovery tool provides you alternative option to rebuilt arrays and calculate parity information for you. You just need to go through the self-guiding interface that lets you perform an easy and efficient data recovery of deleted/ formatted data from RAID arrays/drives. To recover data from failed raid set first you need to reconstruct it. 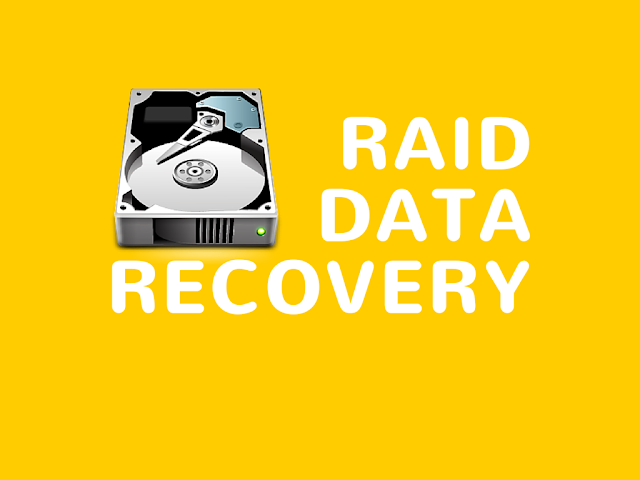 How to reconstruct RAID array and recover files from failed RAID set? Download and install the RAID recovery tool on a Windows system. Launch the data recovery software. From the list of constructed RAIDs, choose your appropriate configuration and click 'Show Volume List' button. Now it will enlist the recoverable RAID volumes, from there choose the desired volumes and perform RAID 6 recovery. Note: As a prerequisite, the RAID repair software requires you to specify all your member RAID drive along with their proper sequencing. For the situation, when the software fails to create probable RAID construction, the software shows another option – 'Create Virtual Drive'. You can still perform this virtual RAID drive, perform 'Raw Recovery', and search for the lost volumes in it. If you couldn’t create a probable RAID construction, then the raid recovery software provides you option to ‘Create Virtual RAID Drive'. This will build a virtual RAID construction; now you can perform lost data Recovery from RAID arrays. Amanda is a passionate blogger and loves to explore anything about technology, from gadgets to geekiest tips. You can find her on G+.